Made from real lions? Maybe you should be the judge. Everyone wonders what will become of Cecil, the lion that a dentist killed in Zimbabwe (formerly Rhodesia). Is he being rendered down into my favorite confection or are they serving lion burgers at a roadside stand? Difficult to say. I leave it in the court of public opinion. A walk down memory lane (NY Times). 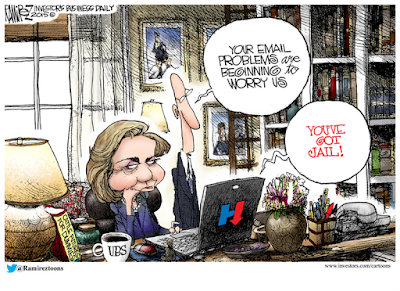 Columnist William Safire called Hillary a "congenital liar". If she only told as many lies as the number of women who husband Bill banged while married to her, it would be a very long list indeed. Obama wasn't the cause of American decline, he was merely an emblem of it. Hillary Clinton would clearly be worse. How much worse she'd be than Obama is difficult to measure. Since Obama is clearly the very worst president in American history, Hillary is likely to be "worser" -- we're going to need to create an entirely new vocabulary. The thought of the portly lesbian waddling around in her polyester pantsuit (and comfortable shoes), "leading the free world" is frightening. Once Hillary is elected, she can bury the scandals, wrapped in the cloak of national security.